Hi Friends! I hope you had a lovely weekend. It's been rather unseasonably warm in the South these last few weeks and quite frankly, I don't like it! While many people welcome the warm weather, I don't simply because...uhhh, it's February. It's supposed to be winter, meaning it's supposed to be cold. Don't get me wrong, I'm not wishing for super cold temps because those who know me best, know that I LOVE the summer time. My favorite season hands down. However, since it's winter, I'm just asking for mild winter temperatures. The 50's aren't so bad! Right? Here's the challenge...it's really, really hard to find outfits that are appropriate for the season but aren't going to cause me to sweat to death. In an effort to solve the problem, Saturday I hit the mall looking for a few staple pieces that could carry me through the remainder of this "so called winter." While retailers are pushing for spring with their pre-season sales and store window displays, I just can't bring myself to bust out the spring wear when it's still February. I shopped around and tried to find some pretties to take home with me and to my dismay, I had no luck. So disappointing. Determined to find something to lift my spirits, I decided to move on to home decor (another love) and take a turn around Pottery Barn and Crate and Barrel. Sadly, I found the same thing. Leftover Christmas decor, a few Valentine's Day pieces and that's about it. I went to two malls and didn't spend a dime, except for lunch (I'm sure the Husband would be happy about this!). 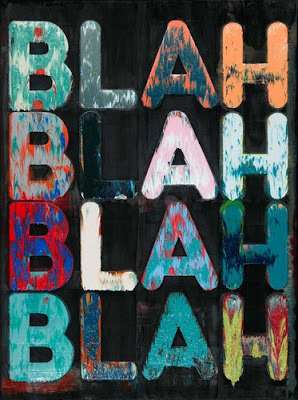 I've come to the conclusion that this is just a "Blah" time of year when it comes to retail. There's just not much out there. I guess I will remain stuck in my apparel rut, desperately trying to stay cool or warm...whichever it is depending on the ever fluctuating temperatures. Is anyone else having this same problem or is it just me? Tips and advice welcome! I'd love to hear your thoughts. You are definitely not alone! We've had unseasonably warm weather too! I can't wait for Spring...I'm ready to break in my new metallic boat shoes!